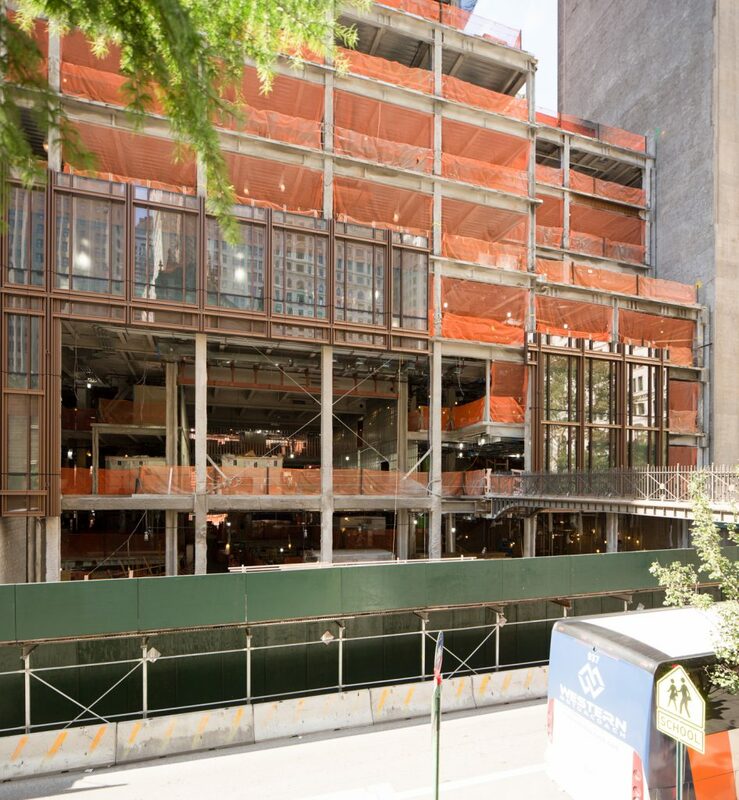 Permits for construction of 74 Trinity Place were approved approximately one year ago, and already, the building has nearly topped-out, having reached the 20th of 26 eventual floors. The mixed-use tower has replaced a derelict but beautiful structure, and for that reason, the architect placed special attention to the design. 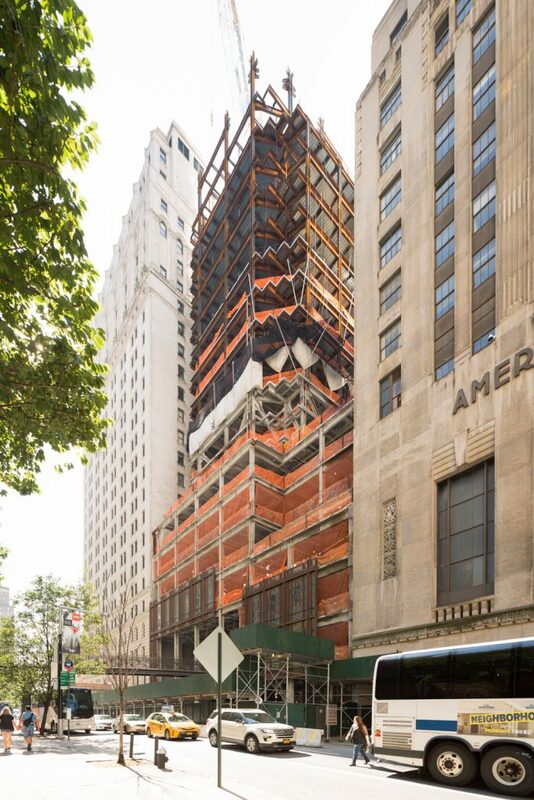 Now, pedestrians in the Financial District are finally getting a glimpse of the bronzed skin. Façade installation, as designed by Pelli Clarke Pelli, has finally commenced. 74 Trinity Place’s exterior considerations have been substantial and sensitive to surrounds, particularly as it replaced a historic structure. 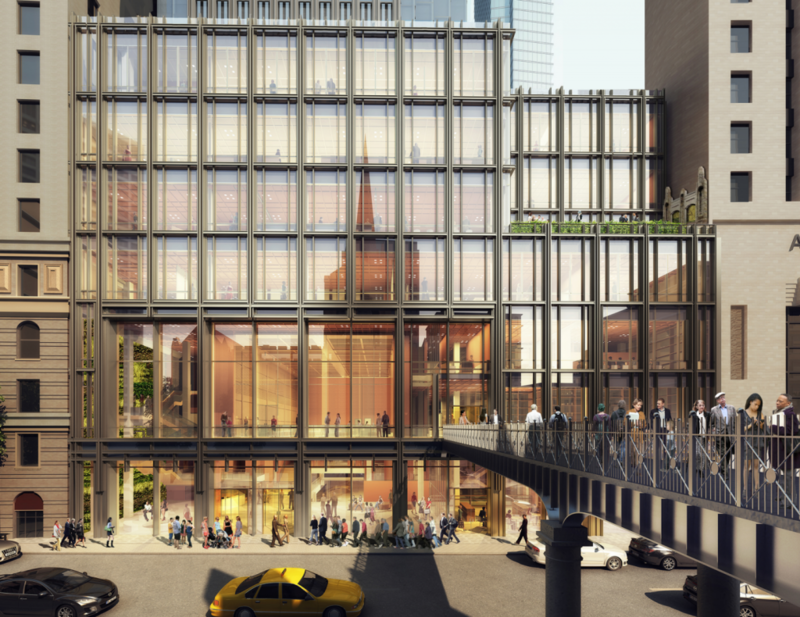 To help make the change more agreeable, the architects designed the glass and bronze-colored aluminum façade as an homage to the previous occupant. The layered paneling adds depth and texture completely unique for curtain-wall towers. This added complexity has a particularly appealing look, and the tonality is significantly better than what renderings suggested. The nearly 500-foot tall structure will yield nearly 100,000 square feet of community facilities and 310,000 square feet of offices. 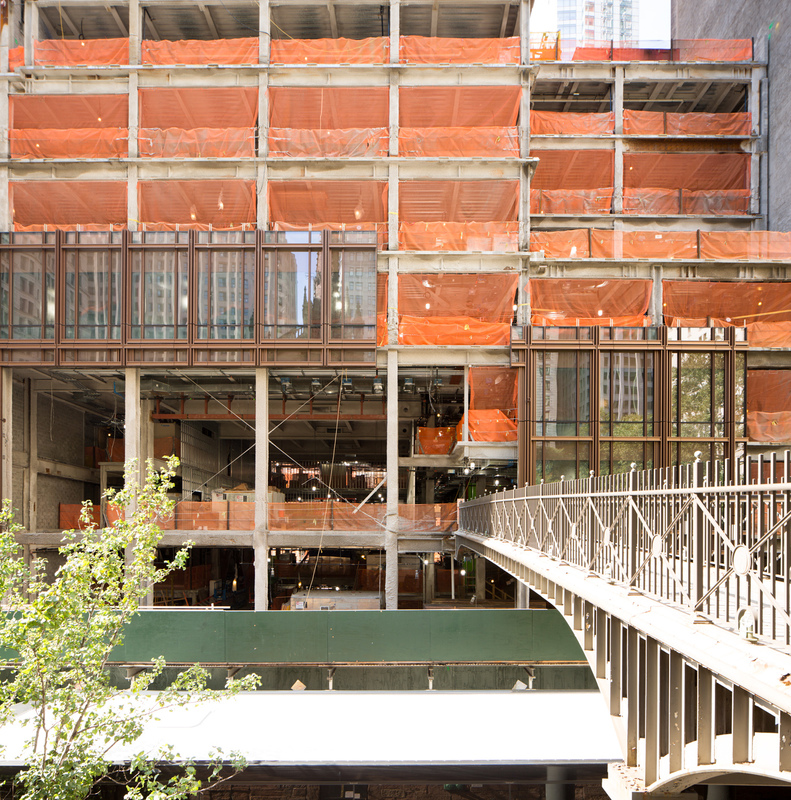 This space will include public classrooms, a café, meeting spaces, an art and music studio, and a fitness center, all with floor-to-ceiling windows. 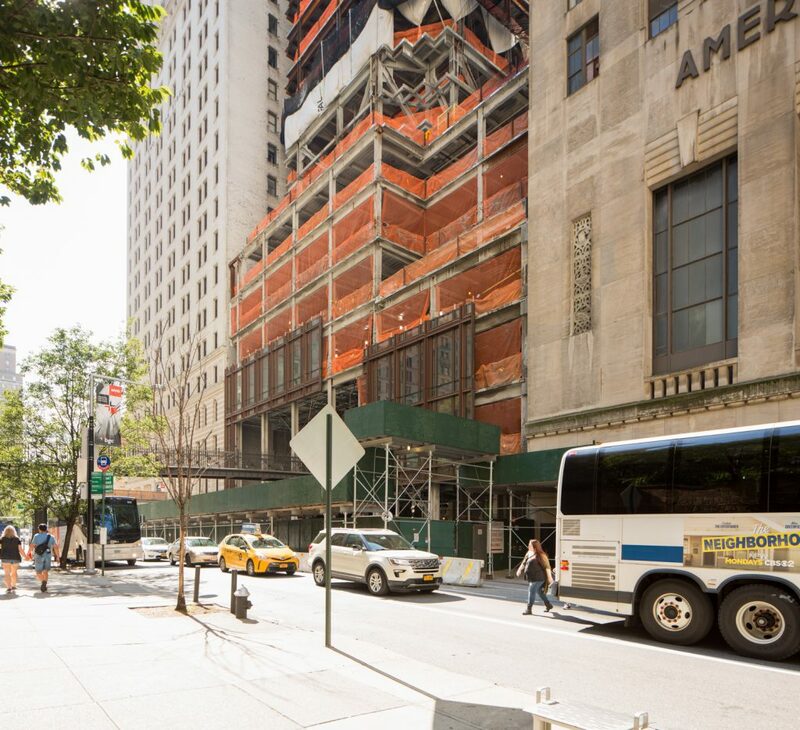 Art and music studios, fitness center, and a café will sit in the base, while offices will occupy floors 10 through 26, to be leased to for-profit and non-profit companies. Trinity Real Estate is responsible for the development. Completion is expected by 2019. 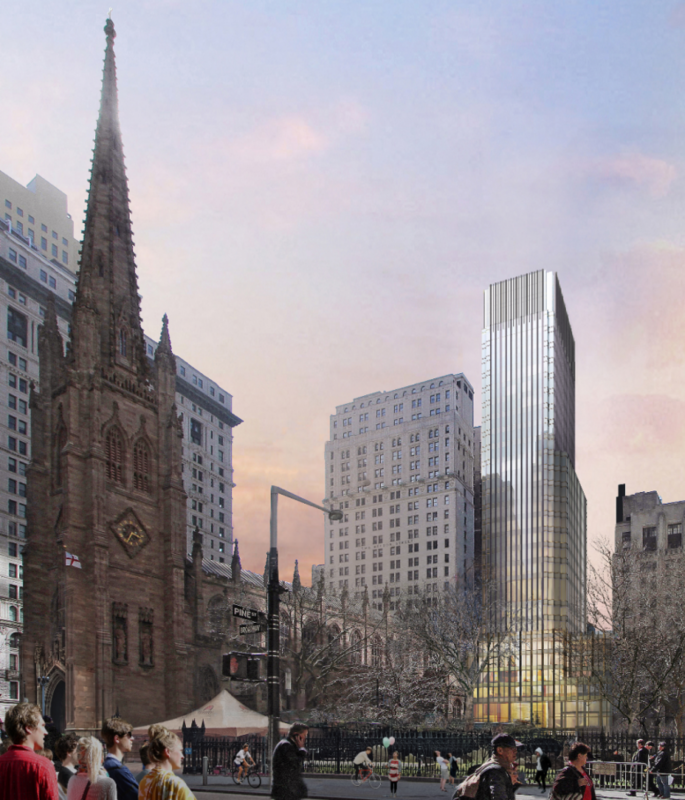 3 Comments on "Bronze Façade Installation Starts for Trinity Church’s Office Tower At 74 Trinity Place, Financial District"
Ok so you refer to the lost building a few times, but fail to identify its name, history or why it was demolished. Oh and please forgive me for using your space!